Would you consider naming your baby Leviathan? Maybe after a spawn from the Kardashian-Jenner clan? Perhaps something influenced by yoga or Eastern spirituality? Maybe you wouldn't, but plenty of new parents are. Here are 2018's most popular baby names. WASHINGTON — Would you consider naming your baby Leviathan? (Biblical implications notwithstanding.) Maybe after a spawn from the Kardashian-Jenner clan? Perhaps something influenced by yoga or Eastern spirituality? Well, maybe you wouldn’t, but plenty of new parents are taking inspiration from pop culture and the online video-game-of-the-moment Fortnite. According to BabyCenter, millennial and Gen-Z moms and dads are naming their offspring after their passions — anything from foods and flavors to the second generation of Kardashians. The top 10 baby names are more traditional, however. Jackson leads the boys’ list for the sixth year in a row while Sophia takes the top spot on the girls’ list for the ninth year running, making it the decade-defining name for girls born in the 2010s. “Sophia is the dominant girls’ name of the decade, with no signs of slowing down,” said Linda Murray, BabyCenter’s Global Editor in Chief, in a news release. On the Zen side of things are baby girl names like Peace (up 66 percent), Harmony (up 15 percent), Rainbow (up 26 percent), and Hope (up 10 percent). For baby boys, it’s Ocean (up 31 percent) and Sky (up 38 percent). Fortnite, with its 125 million players, has pushed Ramirez up 57 percent as well as Leviathan (up 46 percent for boys), Bunny (up 30 percent for girls) and Rogue (up 47 percent for girls and 21 percent for boys). The influence of the Kardashian-Jenner clan on baby girls can be seen in names like Stormi — Kylie Jenner’s daughter’s name, which is up 63 percent — or Rob Kardashian and Blac Chyna (Dream, their daughter’s name, rose 42 percent). As for the boys, Kim and Kanye’s Saint shot up 42 percent, and Reign, the name of Kourtney’s third child, went up 27 percent. 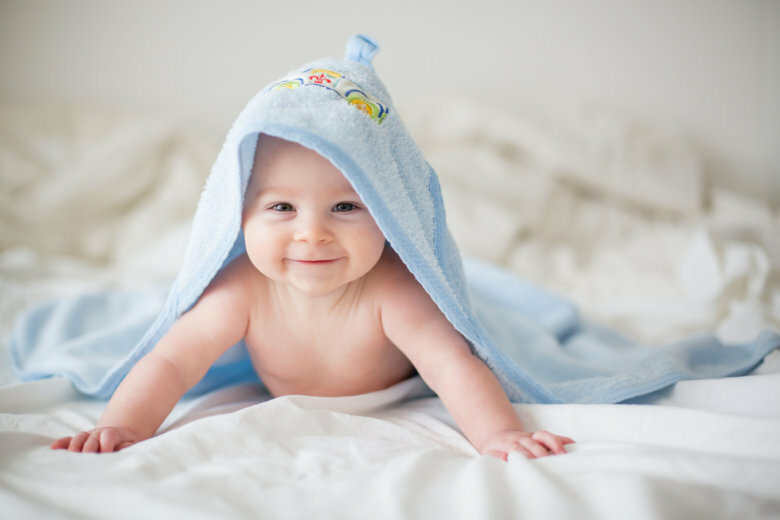 See the full list of baby names at BabyCenter’s website.